NATO is aware of numerous violations of cease-fire in Ukraine. 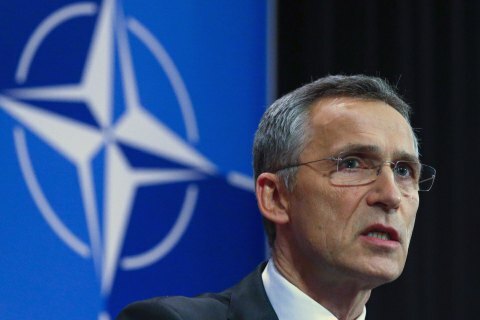 NATO Secretary General Jens Stoltenberg has stated that NATO will provide political and practical assistance to Ukraine, an UNIAN correspondent in Brussels reported. Stoltenberg said he expects Ukrainian President Petro Poroshenko to update NATO on the recent developments in the country during a meeting of the NATO-Ukraine Commission that will be held on the second day of the alliance's summit in Warsaw. "At the meeting NATO and its allies will reiterate their strong political support for Ukraine, its territorial integrity and sovereignty of Ukraine. We will reiterate our strong support for the full implementation of the Minsk agreements," the NATO secretary-general told reporters today, 4 July. He noted there had been numerous violations of the cease-fire in Donbas. "We will call for a full respect of the cease-fire, but also that the international observers are allowed to work and to do their job in eastern Ukraine, to be able to monitor and help implement the Minsk agreements and the ceasefire," Stoltenberg said. In addition to the political support, NATO will also step up its practical assistance to Ukraine, according to Stoltenberg. He said NATO would agree a comprehensive package where it would streamline the scope of work and support to Ukraine. The package will include "strategic advice and assistance." "We are already providing practical support to Ukraine through our different trust funds, covering areas such as control, logistics and cyber security. We will then add new projects to the different activities of the trust funds. We will add projects related to hybrid warfare, explosives devices, and strategic communications. We will strongly provide the political support, but also step up our practical support," Stoltenberg stressed. As UNIAN reported earlier, NATO Summit will be held in Warsaw on 8-9 July.